So many of our friends and family members in the Plano area are asking the question, “now what?” after having the roofs of their homes seriously damaged by recent storms. If your home has been the victim of hail damage or wind damage, you need to give your insurance company a call. We are very comfortable working with you insurance adjuster to be sure you get the very lowest cost possible. Let us know when they are going to be at your home, and we will meet them and take it from there. dealing with insurance companies can be a big headache, and we would love to spare you the trouble. Roof - look for pock marks in the shingles, which may not be visible from the ground. Trees - Limbs, leaves, and debris that have been blown by the wind. Fence - Your fence may look like it has spots all over it. Window Beading -You may have cracks or wholes in the sealer around your windows. Gutters & Downspouts - You can see dents in the gutters and downspouts. If you aren’t able to see damage to the roof, but your neighborhood is crawling with roofers and adjusters, you may actually have damage and just not know it. The video above identifies all levels of damage, so protect your biggest asset and give your insurance company a call! Leaky roofs can cause thousands of dollars of damage to your home if you do not get it repaired. You don’t want that! If you don’t get your roof fixed, or just let it go after you call the insurance company, you could expose your family to a liability. If your roof ends up leaking and does $30,000 worth of damage to your house, or if it causes black mold that could cost $75,000 to fix, and the original cause of it was an un-repaired roof, your insurance company may end up blaming you. If they do this, they could refuse to pay for the damages because you did not prevent further damages by fixing your roof, which you could have done. 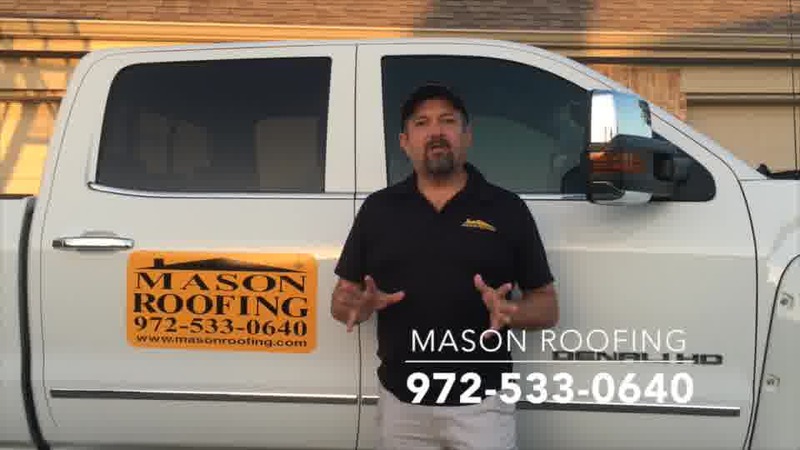 If you’re in the Plano area and are in need of a roofer, call 972-533-0640 to get a free estimate. And the entire metroplex Call 1-770-ROOFERS today and we will come out and give you free estimate.